On July 7th, 2007 Claudia and Nick Vasquez welcomed in their first child, Oliver. Initially, life was just as expected with a newborn, but over time it was apparent that something was not right. At 18 months, Oliver was diagnosed with PMM2-CDG. Fewer than a 1000 individuals worldwide have been identified with this congenital metabolic disorder. There is also a wide spectrum of symptoms and severity of problems associated with those afflicted. Some of which can manifest later in life. At this time, Oliver has mostly been afflicted with fine and gross motor-skill deficits. Oliver requires specialized therapy and assistive devices, of which insurance and resources do not always cover. With such a rare condition, his future is unknown. For this reason, his family and support group want to ensure that Oliver will receive and be provided with all the means to battle health issues and reach his full potential. 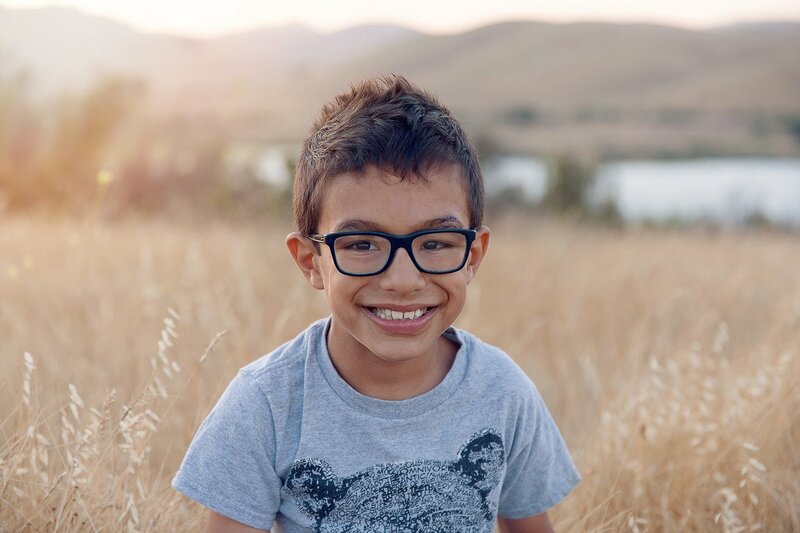 To help with the financial burden of Oliver’s uninsured expenses, a fundraising campaign in his honor has been established with Help Hope Live, a trusted nonprofit organization that has been providing community-based fundraising guidance to patients and their families for more than 30 years. All donations are tax-deductible to the full extent allowed by law, are held by Help Hope Live in the Southwest Catastrophic Illness Fund, and are administered by Help Hope Live for illness-related expenses only. Thank you so much for helping make a huge difference in Oliver’s life. Thank you everyone. Family, friends, and supporters of Oliver from everywhere. We would like to share with you a video created by the staff of Now I Can. Oliver was brave, enthused, and tired after each session. His last week there, he accomplished 23 unassisted steps. This was such a success on all levels. Our hearts are filled with more hope and optimism for his future. We would like to kick off a new round of fundraising for next year’s therapy session. We wanted to share some exciting news about Oliver! Thanks to your support and generosity, Oliver will be attending an Intensive Therapy Clinic this summer! Although our first choice (NAPA) is unavailable this year we have found another amazing clinic in Utah. Oliver and I will be traveling to beautiful Provo, Utah and attending intensive therapy at The Now I Can Foundation for the month of July (7/10-28). Oliver will receive Intensive physical and occupational therapy for 4 hours a day over 3 weeks! A 3-week session of intensive therapy will help Oliver realize the same goals it would usually take a full year of traditional therapy to achieve. Please be sure to check in on our blog for videos of Oliver’s sessions and the progress that he will make. Thank you all so much for this wonderful gift for our strong determined son Oliver. We are touched and overwhelmed by the outpouring of support from so many friends, family, and fans of Oliver. Thank you everyone. We want to keep you all updated on where we are with getting Oliver to the NAPA center. It seems the need of the NAPA centers services extends to many families and individuals. The entire year of 2017 is currently on waitlist. We have submitted our application and wish list of dates. There may or may not be slots opening at those times. We don’t want this to lose momentum but may have to wait for the 2018 scheduling window. Are there alternative and comparable programs? We don’t know, and will do the research. We will continue to update this site, as we move forward. This is the time of year, where we gather with friends and family, to celebrate and reflect on a year gone past. We are inclined to make resolutions to better ourselves and have hope and optimism for the future. It’s also a time of year where people give. Through the efforts of some dear friends, our son Oliver has been the recipient of a wonderful gift this year. This is also a gift to our family, and our hopes and dreams for his future. Our deepest thank you goes out to everyone involved. Funds have been raised to send Oliver to the NAPA center in Los Angeles, a wonderful opportunity for him. As you all know, Oliver was diagnosed with CDG (Congenital Disorder of Glycosylation) at around 18 months. CDG can present a wide spectrum of symptoms and afflictions. For Oliver, CDG has primarily involved his muscle tone, balance, and vision. Oliver uses a walker and other assistive devices for speech and mobility. Over the years, he has continued to make progress, although measured in small increments, he has yet to show regression or any plateauing. The NAPA center is unique in that it specializes in IMOT (intensive model of therapy). It’s a 3-week therapy program that is customized to a patient’s physical abilities and needs. To our happy surprise, Oliver has recently stated “I want to walk like Eli”, his younger brother and motivator. As parents, those words pull at our hearts, and we would do anything to make that a reality. There are truly no words to describe how grateful we are to these generous individuals as well as to Tito’s Vodka, whom sponsored and made an extraordinary contribution. Thank you, Sindia and Tony Dudum, for hosting this event and selecting Oliver. The Dudum’s have evolved their annual holiday party for friends and family each year into a fundraiser event, with a new cause being selected each year. Thank you, Angie Clay, for suggesting Oliver and for taking part in this incredibly generous offering. In response to this and from our own desire to ensure Oliver has access to future therapies, devices, and other medical needs. We are creating a HelpHOPELive site in Oliver’s name. Oliver is an inspiration to us, to never say never and to reach for the moon. You guys are amazing. Good luck. Nick and Emma. One step at a time, you got this Ollie! Sending love and well wishes to Oliver and Family!